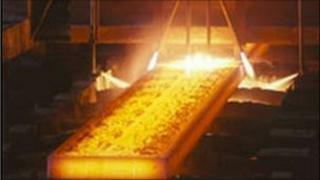 Image caption Vale is the biggest producer of iron ore, the key ingredient of steel. The Brazilian mining giant Vale, the world's biggest producer of iron ore, has chosen a new chief executive. Former Vale executive Murilo Ferreira will return to the company on 22 May. Mr Ferreira, 58, replaces Roger Agnelli, who has been under pressure to go following months of friction with the government. Mr Agnelli was criticised for not investing enough in Brazil's economy, but his supporters said the move was a veiled state takeover. "Interference by the government could mar the image of the country as a promising place for investment," said Brazil's mining association, Ibram, in a statement posted on its website. For years Mr Agnelli enjoyed the support of former President Luiz Inacio Lula da Silva as he built Vale into a global powerhouse. But Mr Lula harshly criticised his move to cut investments and lay off workers during the financial crisis. The government owns a large stake in Vale through the state-run pension fund and development bank. Mr Ferreira joined Vale in 1998 in its aluminium division and later led the Canadian nickel operations that the company bought in 2006. He left the company in 2008 after 30 years in the mining business. Analysts said Mr Ferreira's two immediate tasks would be to mend fences with the government and to ensure that ties with China - the world's largest iron ore buyer - are not damaged.